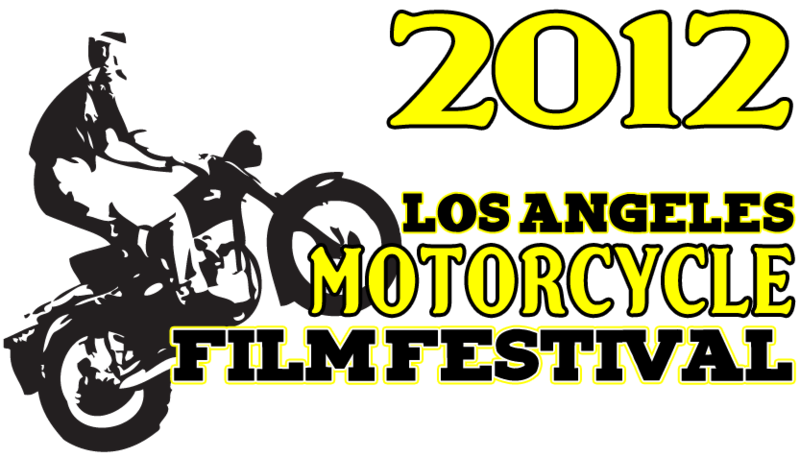 The two recent film projects below were named official selections of the 2012 Los Angeles Moto Film Festival. Both feature Triumph motorcycles spanning multiple eras. Actor Jason Lee and myself exploring the faded glory of what once was a desert resort, on 1969 and 2012 Triumph motorcycles. An ethereal recollection of an impromptu ride, turned into a short film. 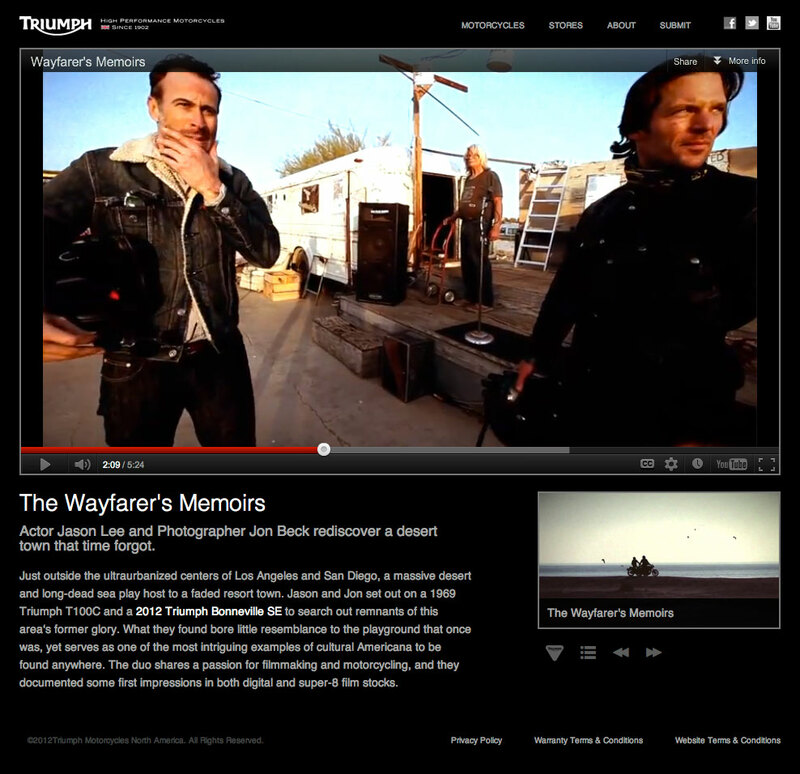 The Wayfarer's Memoirs with actor Jason Lee from Jon Beck on Vimeo. 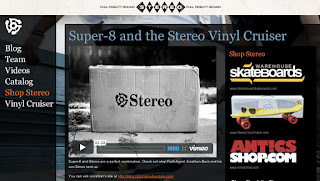 ADVENTURE SUMMIT from Jon Beck on Vimeo. 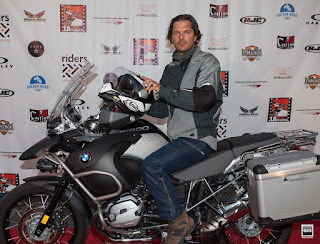 ADVENTURE SUMMIT - TEASER from Jon Beck on Vimeo.